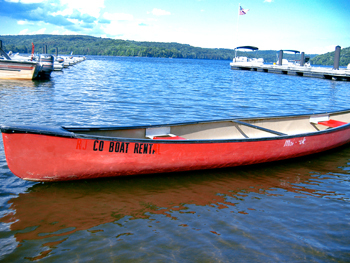 We have a total of 9 canoes available for rental. To rent a canoe, you must be at least 16 years of age and have a driver's licence or a state issued identification card. A $10 cash or credit card deposit is required per boat.